The South African economy is battling to reach its growth targets, which have been revised down from an original 3% to around 2% by most analysts. Disposable income has dropped over the past year. Interest rates have seen two hikes since January, with many anticipating a third. The country has recently ridden out the longest strike in its mining history. With all these factors at play, your business is going to feel the burn. And when it does, the inevitable need arises for a cost reduction strategy. 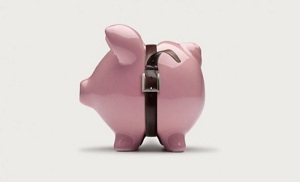 It’s difficult to say when it is the optimal time to start looking at ways to cut costs. But Donna Marie Thompson, author and small business strategist says it’s important “not to wait until the ship is sinking before plugging your profit leaks”. In South Africa’s current business environment, it’s probably advisable for almost every company to start to consider their own cost reduction strategy. But the next question is where to begin? We’ve included some ideas from Thompson, as well as our own, to kickstart your brainstorming to create your potential cost reduction strategy. 1. Cut down on expenses. This cost reduction strategy is arguably the simplest and most obvious to fulfill. Look at what your company is paying in rent or premises, your electricity and utilities costs, fleet management costs, printing and internet or connectivity costs; and your IT costs. This is where companies typically get rid of the plants in the building and downgrade from a Nespresso machine to instant coffee and rationed milk in the pause area. But saving some rands can be done more efficiently with less damage to employee morale if a proper cost analysis is carried out before such decisions are made. 2. Focus on a product or division in the company. If you’ve already identified a specific department or area of the company where some fat needs trimming, then you may decide to adopt this cost reduction strategy. When scrutinising the product, “you’ll need to put all related expenses on the table for consideration,” says Thompson. “Any and every cost related to this product is under review. In this strategy, there’s a strong possibility that inter-related expenses can be found,” she says. For example, you may find that the materials bill for a particular product seems inflated. On closer inspection you could discover this is partly to due overpaying for delivery costs. Look at all possible areas tied to a product, including purchasing, materials, design and production. You may also decide to scrutinize your entire product offering and weed out any that might not be contributing meaningfully to the profit of the business. Unless these are loss leaders, they could be flagged for phasing out over time – to the ultimate benefit of your bottom line. You might have identified a geographic location or branch that is not yielding what it should. In sub-Saharan Africa, this cost reduction strategy often rings true. The hype around Africa being the next big investment opportunity can often lead to hasty expansion into areas fraught with their own distribution difficulties or low income per capita. For example, even though Nigeria has now overtaken South Africa as having the largest GDP on the continent, retailer Woolworths has still seen several failed attempts on its soil. In November last year, it announced it was closing all of its stores in the country due to high rental costs and supply chain difficulties. Thompson suggests running a geographic income statement in order to determine whether costs are piling up unnoticed in a particular region. It might be prudent to pull out rather than waiting for the average consumer in the area to become wealthier over time! 4. Cut down on people costs. A fourth option for cost reduction strategy, one especially applicable in South Africa, is to assess whether your human resource costs are too high. Our country has relatively high labour costs with relatively low productivity. While studies around this are largely centred around the lower end of the workforce, it is the senior executives who receive the disproportionately high pay packages and make noticeable dents in the bottom line. Identifying how to cut down on remuneration costs at executive level could have a significant impact on your profitability. The Finance Team advocates solutions for this by seeking to help companies save costs on their senior finance executives. While a top tier financial manager often commands a prohibitively high salary, TFT can help your company develop a solution which allows for such an individual to only work for the time they are actually needed, at a fraction of the overall cost.